We offer a 24 Hour, 60 Minute Response Service throughout Northern Ireland. As a company we realise that our customers don’t want be left out in the cold when their locked out, or their properties left unsecure. We take great effort to ensure that our vans are always fully stocked so that we can make sure that all work (where ever possible) is completed on our first visit. For non stock items we offer our premier express service so that you, the customer, know that your repairs will be completed as soon as possible with minimum hassle. As well as offering a first class rapid reponse service we are also able to provide you with free estimates and advice, gain entry to property and supply and fit all types of locks from scratch, all at a time that suits you. 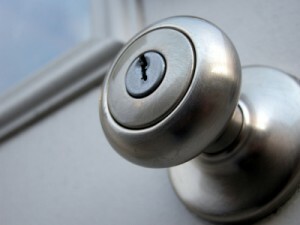 If you are locked out of your House, Car or Office then we can get you back in. We use the latest technology and techniques allowing our locksmiths to open your lock without damage to your Property.